This is the story of women caught up in the tumultuous art scene of the early twentieth century, some famous and others lost to time. By 1910 the patina of the belle epoque was wearing thin in London. Artists were on the hunt for modern women who could hold them in thrall. A chance encounter on the street could turn an artless child into an artist's model, and a model into a muse. Most were accidental beauties, plucked from obscurity to pose in the great art schools and studios. Many returned home to lives that were desperately challenging - almost all were anonymous. Meet them now. Sit with them in the Cafe Royal amid the wives and mistresses of London's most provocative artists. Peek behind the brushstrokes and chisel cuts at women whose identities are some of art history's most enduring secrets. Drawing on a rich melange of historical and anecdotal records and a primary source, this is storytelling that sweeps up the reader in the cultural tides that raced across London in the Edwardian, Great War and interwar periods. 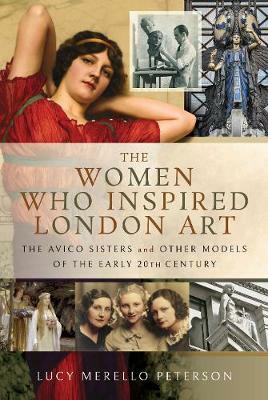 A highlight of the book is a reveal of the Avico siblings, a family of models whose faces can be found in paint and bronze and stone today. Their lives and contributions have been cloaked in a century of silence. Now, illuminated by family photos and oral histories from the daughter of one of the models, the Avico story is finally told.